We received the unfortunate news that former stable star BE POSITIVE, a Group 3 winners at Flemington, passed away whilst giving birth recently to a Sepoy Filly. Raced by G Fraser, R Ward AM, A Bennett, Lanista T'breds Syn (S Cook), Fewnor Syn (N Chapman), Manic Racing (M Kavanagh) & Laurel Oak Andorra Syn (L Mihalyka), this is the second stakes winning mare we have had pass away giving birth recently with Jacqueline Rouge also succumbing. 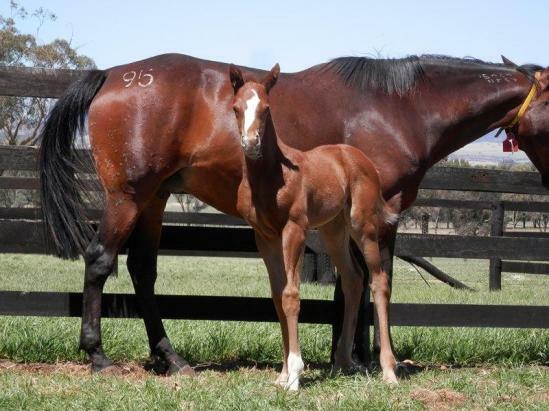 Attached is a photo of the foal (with foster-mare) who is still in hospital but now doing well.